On Wednesday, Sonos rolled out voice-control support via both a free software update for existing customers and with their new Sonos One speaker, but this new solution leaves Apple Music users wanting more. The good news is that Sonos also announced AirPlay 2 would be coming to their speakers in 2018, and that might just provide the voice control Apple Music subscribers want. In building its voice integration, Sonos chose to make their speakers an extension of Alexa instead of just a service which was Alexa-controllable. This deeper-integration allows you to say, “Alexa, play Stevie Wonder” and have it come out of your Sonos speakers, but limits your music services to those which are enabled on your Alexa account, and that means no Apple Music. Had Sonos instead built a typical Alexa remote control skill, you could then control any service you added to Sonos, but you’d have to say, “Alexa, tell Sonos to play Stevie Wonder.” Sonos execs all emphasized their desire to avoid the “tell Sonos” scenario. As an Apple Music subscriber I’m not necessarily sure I agree this was the right choice, especially having experienced the latter via a very geeky solution I wrote up last year. Despite the fact that the setup and maintenance of this is non-optimal and unsupported, it’s the solution that my family and I still prefer to use. The good news is that Sonos puts a high value – and dedicates a lot of engineering time and resources – to ensuring a consistent playback experience. “Continuity of control” is a phrase that they have thrown around a lot lately, and they don’t mean it lightly. Once a song, album, or playlist is playing on your Sonos units, any control option – Alexa included – can be used to pause, change the volume, skip tracks, and even identify which song is playing. This means you could use the Sonos app to start playing something from Apple Music and still control playback with your voice using Alexa. For today, this is as good as it gets for Apple Music users wanting voice control of your music with Sonos (unless you’re willing to do the aforementioned geeky dancing, of course). Included in Wednesday’s announcements was that support for Apple’s AirPlay 2 comes to Sonos sometime in 2018. To demo this, Allen Mask, Sonos VP of Partnerships, played a YouTube track on an iPad and used AirPlay 2 to send the sound to a Sonos PLAY:5 speaker. Delightful, but not surprising. Things got interesting, however, when Mr. Mask swiped the PLAY:5 to trigger it to skip to the next track and the iPad dutifully jumped to the next YouTube video in the playlist. Continuity of control applies here, too. Had he brought up the Sonos app, I think we would have seen that we could’ve used the app to jump to the next track, as well. That’s a pretty deep integration, but it goes even deeper. AirPlay 2 is relatively new. 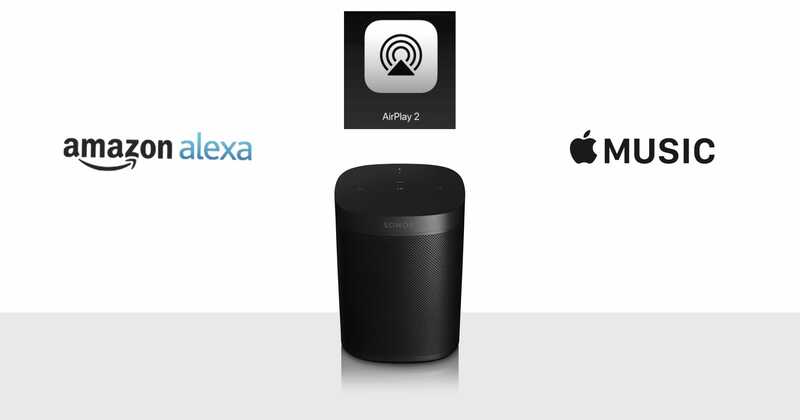 Announced by Apple at WWDC in June, AirPlay 2 offers more than just a way to play sound on a networked speaker. It’s an intelligent platform, integrated with both Siri and HomeKit. HomeKit integration means AirPlay 2 is aware of all compatible speakers in your home, so you could say, “Hey Siri, play Maze by Phish in the Office” and that will take your Apple Music track and play it on your Sonos device named “Office”. It gets even more interesting when you dig in and note that AirPlay 2 adds enhanced buffering, allowing compatible speakers to store “minutes, not seconds” worth of audio in them, reducing (and even eliminating) those AirPlay jitters that could happen as you walked around the house or had any other Wi-Fi hiccups. 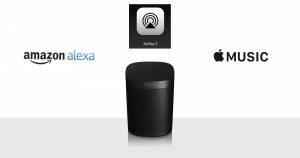 AirPlay 2-compatible speakers can also buffer data directly from the cloud, if it exists there, further reducing reliance upon your iPhone to stream music. Sonos’s AirPlay 2 support will essentially provide full Siri integration, you’ll just have to use your iPhone, iPad, or HomePod to use it… unless Apple gives Sonos the keys to integrate Siri as a voice platform into the Sonos One like Amazon and Google have. “We enjoy a very good partnership with Apple” is a phrase that Sonos execs have told me more than once. I suppose we’re getting to see just how deep that partnership will go. As I’ve often said, Apple is rarely anyone’s friend for friendship’s sake but, if you’re walking the same path they’ve decided to walk, they’re happy to walk with you and even hold your hand for a while. I’m curious to see how Apple’s upcoming HomePod release will impact their relationships with companies like Sonos who effectively offer direct competition in that space. This next year will be an interesting one to follow!